It was innocent, but hurtful. Two years ago, my daughter, Bridgette, who was four-years-old at the time, asked a friend why she looked like a monkey. My friend took it in stride, but I was completely mortified. Oh, how I wish I’d had tacky box that day or better yet, the day before that. 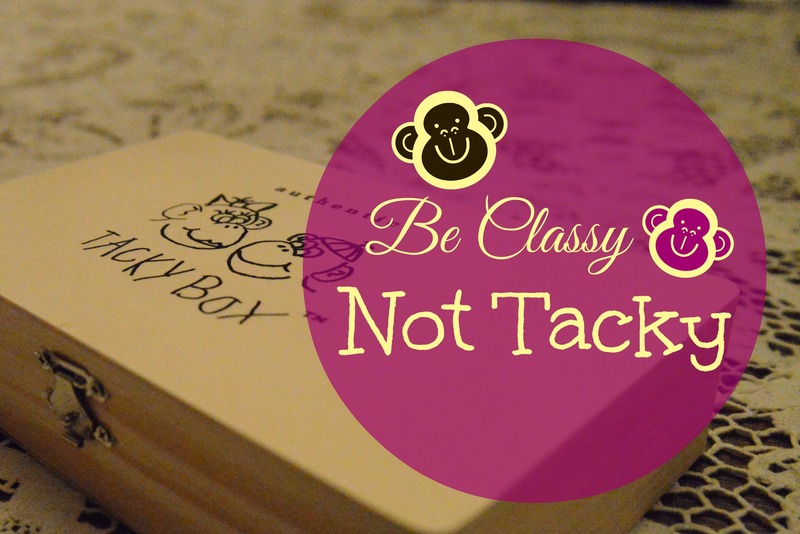 Tacky Box is the invention of the beautiful Chris Kent Phelps. She created the three-piece set to help parents redirect and even prevent tacky language and behavior. The set encourages kids to be kind and take personal responsibility for the things they say. 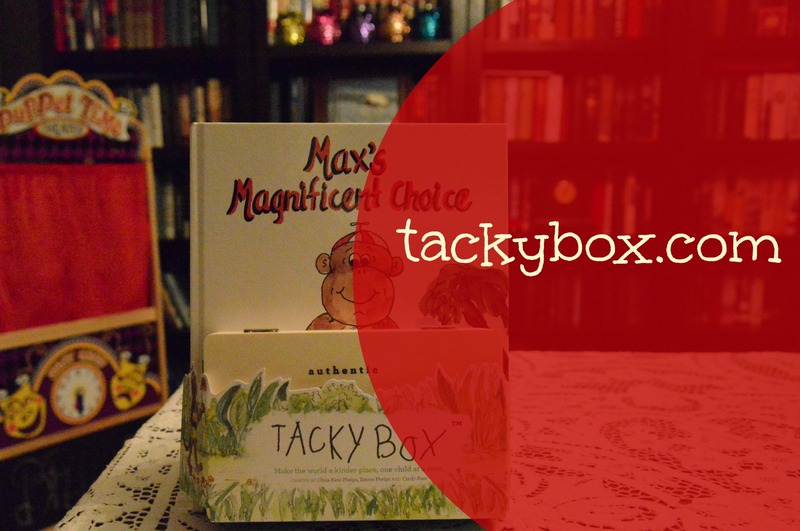 It comes with a wooden box branded with the Tacky Box logo, a 32-page illustrated book (Max’s Magnificent Choice for boys and Margo’s Magnificent Choice for girls) and a special notepad for writing down tacky words and actions. So, let me be the first to say it. I know some adults who need a Tacky Box. Bridgy hasn’t decorated her box yet, but she has written nine tacky words and phrases down on the slips of paper including sut up (shut up). You can buy the Tacky Box kit online for less than $30. To read another review of this product visit Oh So Cynthia or follow Tacky Box online at Facebook.com/TheTackyBox. You can also catch up with them on Twitter and Pinterest. Thank you to TrizCom Public Relations and Communications for allowing me to participate in the blogger outreach program for Tacky Box. I received no financial compensation for the review of this product. I love this, I adding to my list for my next J’adore post. If I get an anonymous Tacky Box, I’ll be looking for you! !